Are deer browsers or grazers? Do antlers indicate age? Are buck and doe droppings different? Does moon phase affect the rut? Can antlered does breed? 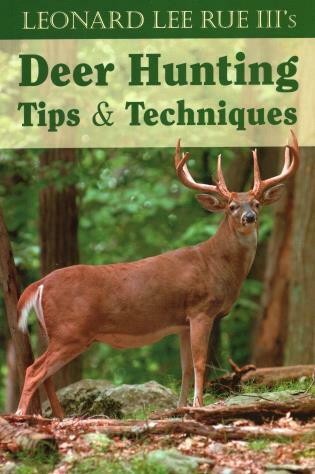 A host of questions about deer behavior and hunting are answered by renowned deer expert Leonard Lee Rue III in this fascinating and useful book. Includes hundreds of facts and observations about feeding behavior, deer movements, the rut, hunting techniques, and antlers--all presented in an easy-to-use Q&A format, illustrated with the author's stunning color photographs. Practical information for anyone who wants a more successful hunt. Dr. Leonard Lee Rue III has been studying deer behavior in the wild for decades. His popular column Rue's Views appears regularly in Deer and Deer Hunting. He is the author of numerous books, including Leonard Lee Rue III's Whitetails (0-8117-1938-3), The Deer of North America (1-5922-8465-5), and How to Photograph Animals in the Wild (978-0-8117-2451-7), coauthored with his son Len Rue Jr.